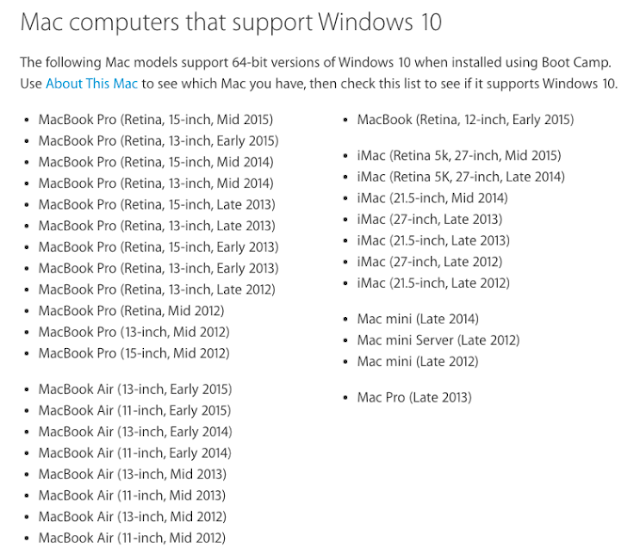 Now apple user can run windows 10 in the mac.As per latest report of apple,the user have mac later 2012,and running the latest mac os x can able to install windows 10.Even user running the windows 7 and windows 8.1 in the mac ,also able to update windows 10 os on mac.User can use apple boot camp for installing windows 10 os on mac. After completing the Boot camp assistant,Mac restart with windows installer. Select the boot camp partition directory for installing windows. Then format boot camp partition drive and follow the screen prompt. Done,now user can switch between OS x and Windows.